Grade 310 (UNS S31000) and its various sub- grades combine excellent high temperature properties with good ductility and weldability. Grade 310H (UNS S31009) has a carbon content restricted to exclude the lower end of the 310 range, so is the grade of choice for high temperature applications. Grade 310S (UNS S31008) is used when the application environment involves moist corrodents in a temperature range lower than that which is normally considered "high temperature" service. The lower carbon content of 310S does reduce its high temperature strength compared to 310H. Grade 310L is a series of proprietary grades, generally with a 0.03% maximum carbon and sometimes used for very specific corrosive environments such as urea production. Like other austenitic grades the 310 family have excellent toughness, even down to cryogenic temperatures, although other grades are normally used in sub-zero environments. The high chromium content - intended to increase high temperature properties - also gives these grades good aqueous corrosion resistance. The PRE is approximately 25, and sea water resistance about 22°C, similar to that of Grade 316. In high temperature service they exhibit good resistance to oxidising and carburising atmospheres. Resist fuming nitric acid at room temperature and fused nitrates up to 425°C. The high carbon contents of all except 310L do make these grades susceptible to sensitisation and hence intergranular corrosion after elevated temperature exposure or welding. 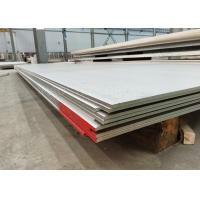 These properties are specified for flat rolled product (310S stainless steel plate, sheet and coil) in ASTM A240/A240M (310S and 310H) and ASTM A167 (310). Similar but not necessarily identical properties are specified for other products such as pipe and bar in their respective specifications. 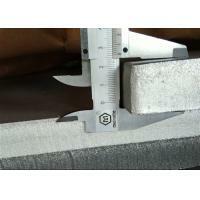 310 is subject to stress corrosion cracking but more resistant than Grades 304 or 316. Consult hao Technical Assistance for specific environmental recommendations. 310H and 310S are often produced in "Dual Certified" form – mainly in plate and pipe. These items have chemical and mechanical properties complying with both 310H and 310S specifications. Product complying with 310 only or dual certified 310 and 310S may have a carbon content below 0.04% which will not be acceptable for some high temperature applications. Furnace parts. Oil burner parts. Carburising boxes. 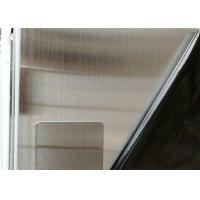 Heat Treatment baskets and jigs. Heat exchangers. Welding filler wire and electrodes. 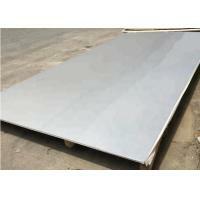 The 310S stainless steel plate is a high-alloy stainless steel of the 25Cr-20Ni system. It has excellent high-temperature oxidation resistance and is suitable for making various furnace components. 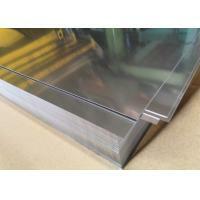 The maximum temperature is 1200°C and the continuous use temperature is 1150°C. Good resistance to oxidation in intermittent service in air at temperatures up to 1040°C and 1150°C in continuous service. Good resistance to thermal fatigue and cyclic heating. Widely used where sulphur dioxide gas is encountered at elevated temperatures. Generally used at temperatures starting from about 800 or 900°C – above the temperatures at which 304H and 321 are effective. 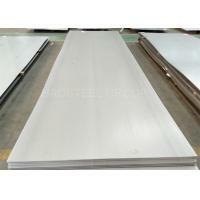 310S stainless steel is austenitic chrome-nickel stainless steel with good oxidation resistance and corrosion resistance. Because of the high percentage of chromium and nickel, it has much better creep strength, can work continuously at high temperature, and has good resistance. High temperature. 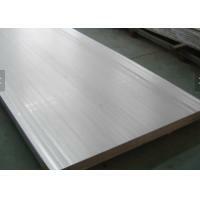 Due to high nickel (Ni) and chromium (Cr) content, it has good resistance to oxidation and corrosion. Acid and alkali resistance, high temperature resistance, high temperature resistant steel pipe is specially used for the manufacture of electric heating furnace tubes, etc. 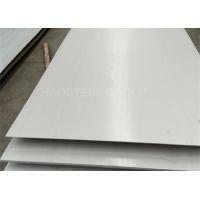 After adding carbon content in austenitic stainless steel, the strength is improved due to its solid solution strengthening, and the chemistry of austenitic stainless steel The composition characteristics are elements such as molybdenum, tungsten, niobium and titanium added on the basis of chromium and nickel. Since the structure is a face-centered cubic structure, it has high strength and creep strength at high temperatures. Heat-resistant steel is commonly used in the manufacture of steam boilers, steam turbines, industrial furnaces, and parts of the aerospace and petrochemical industries that are at high temperatures. Characteristics: It can be repeatedly heated below 980 °C, with high temperature strength, oxidation resistance and carburization resistance. 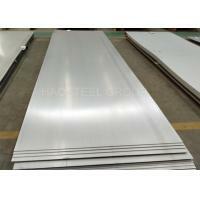 Features: 310S stainless steel plate is suitable for making various furnace components, the maximum temperature is 1200 °C, and the continuous use temperature is 1150 °C. 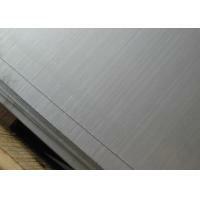 Uses: Furnace materials, materials for car cleaning equipment. 1. Unit weight: 2-3tons per package or as client request. 2. 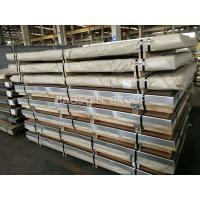 Packing Type: strong wooden pallet and steel strip reinforcement, or as clients' request.